Moor Hall Farm, 29, Moor Hall Drive, a grade II* listed building, is reputed to be the birthplace of Sutton’s great benefactor, Bishop Vesey. Miss Bracken, writing in 1860, refers to it as the Moat House - “tradition fixes the Moat House as his birthplace”, and later writers such as Midgley in 1904 simply state as a fact that Vesey was born there. Is this true? Bishop Vesey was born at Moor Hall some time between 1452 and 1465, and returned to settle in Sutton in the 1520s. He was a wealthy man, and built himself a grand new Moor Hall in 1525 on the site of the present Moor Hall Hotel. Did he leave the old Moor Hall standing, the stone building now Moor Hall Farm, or was the old Moor Hall a timber-framed building like all the other big houses of the time in this area, demolished to make way for the new 1525 building? 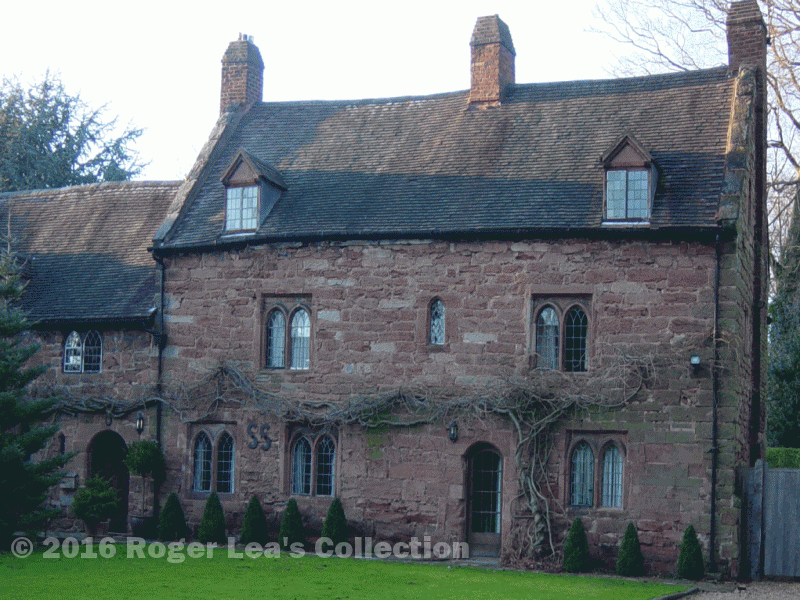 29 Moor Hall Drive is mentioned in the Warwickshire volume of Pevsner’s Buildings of England series as “a sandstone house of the sixteenth century at the latest and perhaps earlier”, with “uncusped two-light windows of a type probably dating from 1520-40”. Bishop Vesey is known to have had a number of stone houses built in Sutton in the period 1520-40, which resemble Moor Hall Farm in construction, particularly in all having a stone spiral staircase. These houses, according to Leland, writing in the 1540s, were built to house the Bishop’s poor kinsmen, far below the likely standard of the pre-1525 Moor Hall. Moor Hall Farm is larger than the other sixteenth century stone houses in Sutton, but the evidence suggests that it was built at about the same time, perhaps for one of Vesey’s more favoured kinsmen. Bishop Vesey died in 1554 aged 102, giving 1452 as his year of birth (some sceptics say 1465), but if Moor Hall Farm dates from the 1520s, it cannot be his birthplace. Uncusped two-light windows at Moor Hall Farm.